Christopher Matthew has been a broadcast journalist, novelist, memoirist and best-selling writer of comic verse. As a journalist, he was restaurant critic for Vogue, property correspondent for Punch, a TV and book reviewer for The Daily Mail, and a travel writer for The Sunday Times. 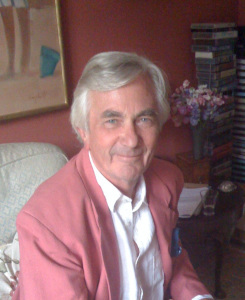 He has appeared many times on BBC Radio 4 in a variety of guises – as chairman of The Travelling Show, presenter of Fourth Column, and contributor to Quote Unquote. He has been heard going off in all directions with Alan Coren in Freedom Pass, pottering around assorted sporting venues with Des Lynam in Touchline Tales and looking back on life nostalgically with Martin Jarvis in Jarvis and Matthew. His verse collections based on the works of A.A.Milne were runaway bestsellers. His latest collection of verse, A Bus Pass Named Desire, was followed in 2017 by a memoir exploring life while seventy and young.